Vilfredo Federico Damaso Pareto had a garden. In it he grew some peas. He noticed that not all his pea plants were equally productive. No matter what he did, 20% of the pea pods contained 80% of the peas. Fortunately for all of us, Pareto was not your garden variety gardener. He was the chair of Political Economy at the University of Lausanne in Switzerland, and so he wondered if this 80-20 phenomenon applied beyond the peas in his garden. Indeed, it did. So was born the "Pareto principle" which specifies that 20% of something produces 80% of its results. Today we see that 80-20 rule applied liberally in economics and business. The ratio may not always be exact, but it seems to be pretty close when describing a broad range of business activity. It pops up frequently when discussing the profitability of a business: 80% of the profits come from 20% of the customers. Banking may be even more lopsided, with as few as 10% of customers accounting for nearly all the profits. As a community banker, you can view that situation as an intractable problem or as an untapped opportunity. The latter is certainly more appealing. So where, exactly is the opportunity? For starters, bankers need to have a clear understanding of who their customers are and what they contribute to profits. Most customers will typically fall into a roughly break-even category between what it costs to service them and what they pay for those services. This category can be fertile ground for harvesting profits. How can a banker move break-even customers up to those who actually contribute to profitability? There are a number of ways. One common tactic is to aggressively cross-sell other products to these customers. This cross-selling can not only generate additional fees but, if done right, can deepen the customer relationship. Another tactic is to gradually and subtly increase fees and/or deposit amounts, say by adjusting minimum balance requirements to avoid certain fees and charges. Banks need to be careful how they go about this, however, so as not to alienate customers who may be loyal and long-standing. While trying to boost income from break-even customers, banks also need to aggressively protect their most profitable ones. The first task here is to know exactly who they are by regularly reviewing customer profiles. One way to know if customers are satisfied or have unmet needs is to ask: periodically connect with these customers, either in-person or some other way. A bank may want to reward these customers occasionally to demonstrate how much the bank values their business. This can add costs and reduce profitability, but it can also help protect the relationship over the longer term. The bottom line is that banks need to realize that most of their profits come from a small group of their customers, so it is important to focus efforts on nurturing that group. That requires identifying key customers, knowing how to groom those who might be likely to move up, and taking steps to protect and enhance the relationships. If 80% of you thought this article was interesting and you want to learn more, we want to help you. For the other 20% of you, we want to help you too. 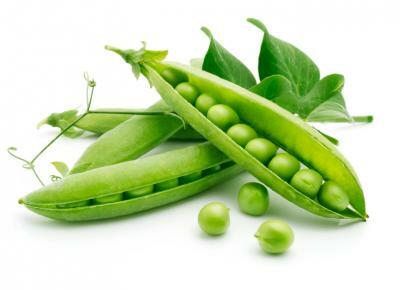 Things are tough right now and certainly, customers aren't all peas in a pod where are all are the same. A handful of peas produce most of the profit for banks, so knowing which ones and why can help your bank grow. If you'd like to learn more about how our relationship profitability system (ProfitIntel) works and how it can help your bank during customer harvest season, we'll be hosting webinars next week and you are cordially invited. Visit the Upcoming Events section of our website to join us. Yields rebounded and jumped 5bp, after Japan prepared a new round of stimulus and the US Treasury saw weak investor demand for its latest issuance (3Y notes). 1) Cathay Bank ($13.2B, CA) will acquire Far East National Bank ($1.3B, CA) for about $340mm in cash (90%) and stock (10%) or roughly 1.26x tangible book. 2) Pinnacle Bank ($685mm, GA) will acquire Independence Bank of Georgia ($184mm, GA) for about $32.8mm in cash (100%). Deutsche Bank indicates the EU will need a bailout of $166B to recapitalize banks in the region. Bloomberg reports analysts it surveyed project combined net income at the 6 largest US banks will drop 18% in Q2 vs. the same period last year. Erosion in NIM, weaker investment banking activity and softness in trading activity were all cited. The Financial Times reports Wall Street analysts now project the current low rate environment and the impact of the Brexit will push large US bank ROEs into single digit territory this year. Only Wells Fargo is expected to post a double digit ROE. JPMorgan research finds that over the past 6 months, criminals have primarily been using two types of fraud schemes to trick employees at companies into sending wire payments. These are: 1) Emails or other communications to clients that appear to be from legitimate contacts, but which actually direct clients to make funds transfers to accounts controlled by criminals and 2) Malware attached to emails or website links that infect client computers and capture client security credentials, enabling criminals to issue payment instructions in the name of the client. Now you know so take steps to warn your staff and customers to help protect your bank. A survey by Infusionsoft and LeadPages finds small business owners say they plan to use digital marketing to achieve the following goals and priorities: drive sales (51%), build brand awareness or convey information (48%), collect leads (34%), retain customers (30%) and run promotions (28%). Interestingly, 22% said they won't use digital marketing (22%).